This is an improvement over the best previous Music Explosion compilation, One Way's Anthology, in that it not only contains all 21 of the songs from that release, but adds three non-LP B-sides not on that CD. 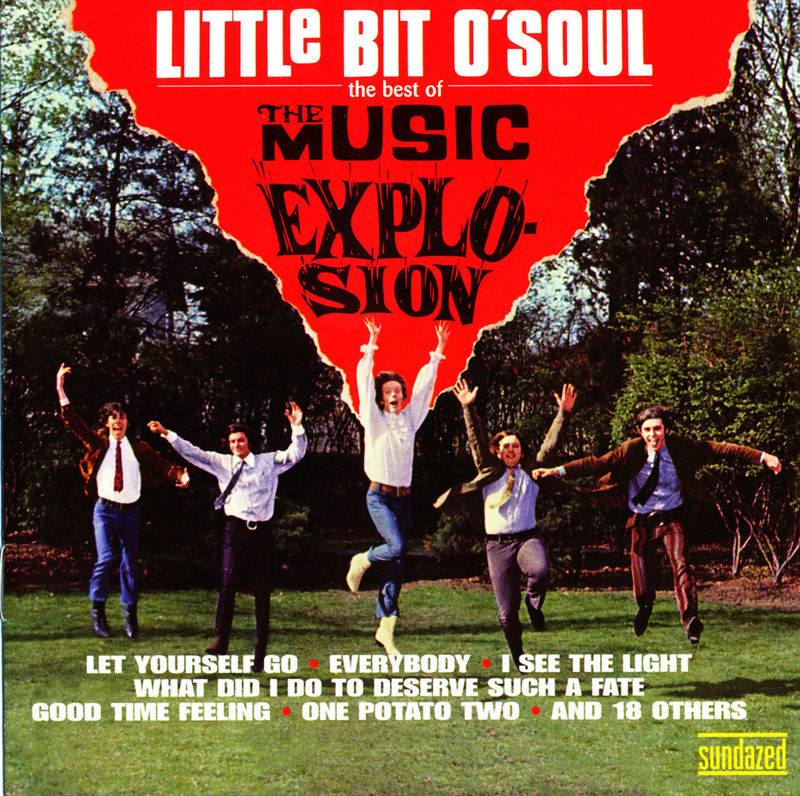 Granted, all three of these B-sides are psychedelic instrumentals that most likely feature session players and not the Music Explosion. But those are rather cool tracks, in the manner of the trippy fuzz guitar-organ psychedelic songs heard on soundtracks to films exploiting the hippie movement. More importantly, perhaps, the package also includes respectful detailed liner notes, with quotes from several bandmembers. 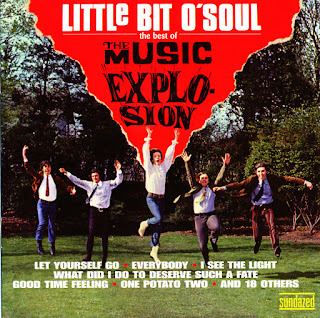 All that borne in mind, you still can't get around the fact that the group didn't have anything too great to offer other than "Little Bit o' Soul." 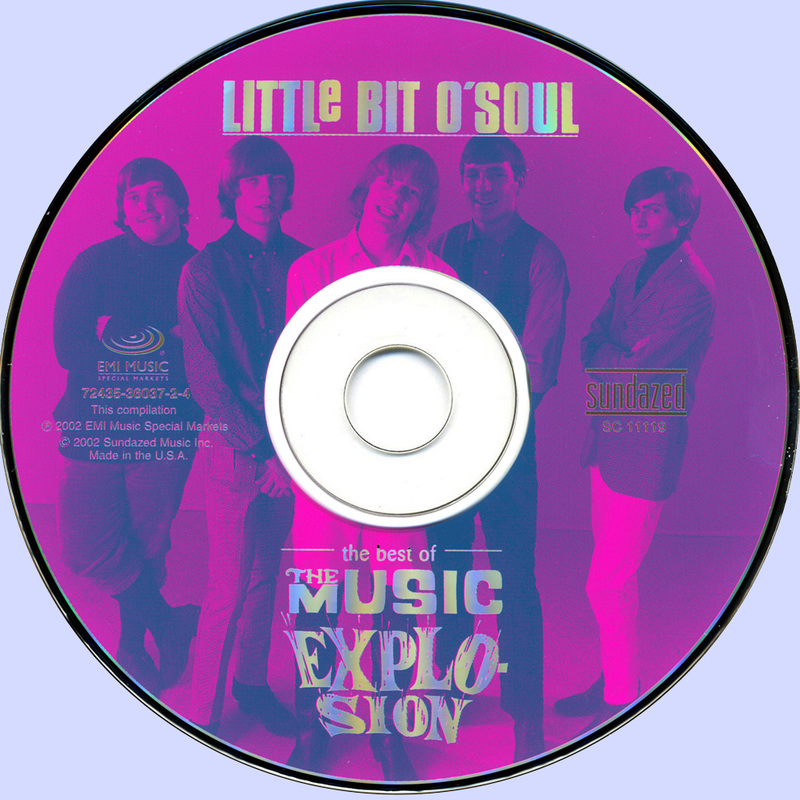 They did virtually no original material, and their songs were average, OK-to-unexciting pop garage rock with a bit of soul and bubblegum, though Jamie Lyons was an above-average singer for bands of this type, with a grittier and more soul-influenced style than the norm. Interestingly, the liner notes say "Stay by My Side," the folk-rock-influenced B-side of their first single and one of their best and harder-rocking cuts, was a band original, though it got credited to their producers. Incidentally, this doesn't quite round up every last track credited to the band in the 1960s, as it's missing a few 1968-1969 B-sides. Nor does it have any of the sides Lyons did for Laurie on his own, billed as a solo artist or with the Jamie Lyons Group.